by Ann Flanagan Petry March 25, 2017 Time to read: 5 min. Indeed, culture is at the heart of competitive advantage, particularly when it comes to sustaining high performance. Yet, while business leaders recognize culture’s crucial role, research indicates that fewer than 10% of companies succeed in building a winning culture. Notably, there is often a blind spot when it comes to culture development. Simply stated, it is nearly impossible to develop culture without developing ourselves, the people who make up the organizational culture. For precisely this reason, the new book, Everyone Culture: Becoming a Deliberately Developmental Culture is provocative reading. In the book, Harvard researchers, Robert Kegan and Lisa Lahey, deconstruct the cultural assumptions, norms, and behaviors of three highly successful companies who have charted a new and disruptive path to organizational success. Bridgewater, Next Jump, and Decurion provide examples of positive deviance when it comes to people and culture development. 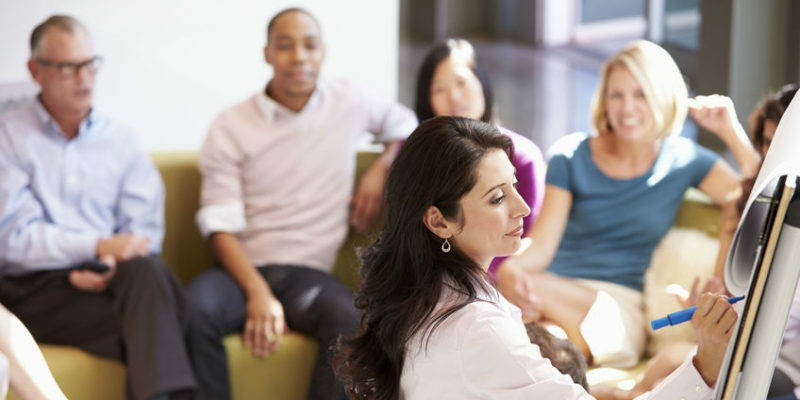 These organizations see culture development as integral to their business success. Everyone, not just leaders or high potentials, in these organizations is engaged in personal developmental practices, such as minding the gaps between where they are currently and where they aim to be relative to any number of Emotional Intelligence Competencies, including Emotional Self-Control. At Bridgewater, an institutional fund management company, people talk openly and honestly about the pain that can be triggered by really looking at our own internal barriers and the root causes for why things happen at work. They refer to an equation to remind themselves and each other why they do this every day: Pain + Reflection = Progress. They even have an app that is standard issue on their company-provided iPads, “the Pain Button.” This tool allows employees to record and share experiences of negative emotions at work””especially times when one’s ego defenses are activated by specific interactions with others. Open sharing of these experiences then triggers follow-up conversations among the parties as they seek to explore the truth of the situation and identify what individuals might do to directly address the underlying personal causes. This practice is aimed at helping people “get to the other side,” a Bridgewater term for working through ego defenses, neutralizing the sting of having your mindset questioned, and coming to actively manage forms of emotional self-protection that will otherwise be barriers to personal growth. Next Jump, an e-commerce company, upholds the belief system behind its culture with the equation: Better Me + Better You = Better US. By broadening the notion of a “learning organization,” Everyone Culture makes the case that any workplace can be a site of deep personal development (especially Emotional Intelligence). The onboarding process at Next Jump gives new employees a very intense introduction to the organizational culture. Because that culture differs so markedly from that of other organizations, Next Jump has found that helping people adapt as soon as they start work is the easiest time to accelerate their growth. For their first three weeks, all new employees – including those who come with years of experience and success, and who are moving into senior leadership positions – attend what Next Jump calls “Personal Leadership Boot Camp,” or PLBC for short. The program starts with participants learning to identify their character weaknesses, what Next Jump calls their “backhands.” The metaphor comes from tennis. Everyone has strengths (our forehand), but in order to be a great tennis player, you cannot rely solely on your forehand. You must also work on your backhand, the areas where you feel less comfortable, less natural, or less skillful. At this weekly workshop, each of the four of you describe some challenge you’ve met at work in the week and what you’ve done to meet it, or not. You might not be sure if how you handled the situation was optimal or not. The mentor-coach is there to encourage you to reach a higher level of self-awareness, so that you might identify new options for responding to similar future challenges and so avoid reacting in the same old way…. Over time, you see people growing immensely from these weekly sessions. As Charlie explains about the SW’s purpose, the focus is “on the training of judgment, rather than on technical training.” As a result, the discourse and pace of a SW can be a bit surprising to a first-time observer. People are identifying “problems of practice,” snags they run into, but the coach’s response is rarely direct problem-solving. All Next Jump’s practices are geared to help people change from the inside out. Solving problems too quickly, without the benefit of uncovering underlying assumptions means You won’t change. If you don’t change, you are most likely going to be reproducing new versions of the same problem you think you’ve already solved. Many workplaces attempt to foster the growth of their employees, but few are deliberately organized to put employee growth at the very center of their mission like these organizations do. Kegan and Lahey describe three dimensions of DDO’s that reinforce one another. Edge, home, and groove. These refer to taking risks in working on a skill that involves self-management (edge), for example, while having the benefit of trustworthy communities (home) and regular practices and routines to establish new habits (groove). These three dimensions’ closely mirror Boyatzis’ Intentional Change Theory, which emphasizes the importance of experimentation and practice within a safe community. The takeaway here is that wherever you are in your work life you can begin to make meaningful progress toward your own development. For example, find a peer who has a similar intention to strengthen the Emotional Self-Awareness and Emotional Self-Control competencies. Be willing to be vulnerable with one another about the real challenges inherent in change, and look at our own shadows. Commit to weekly or bi-weekly check-ins to build the muscles of EI over time. This small yet powerful step can yield profound results. If you are a manager or supervisor, you could create your own DDO team. Make time in team meetings to engage in EI skill building. Foster a team culture of non-judgement and psychological safety allowing people to bring their full selves, including growing edges out into the open within the team. Provide meaningful, positive feedback and celebrate small increments of change. Developing Emotional Intelligence competencies is one of the best ways to facilitate culture development in your organization. 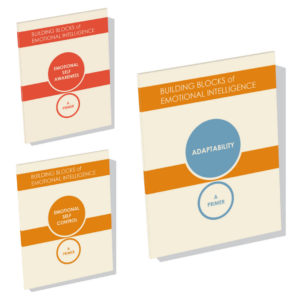 Our new series of primers was created by bestselling author of Emotional Intelligence Daniel Goleman, along with fellow thought leaders in EI, research, and leadership development. You can find the first 3 in the series available now: Emotional Self-Awareness, Emotional Self-Control, and Adaptability.